Need a new boiler in Aberdare? Get FREE no-obligation quotes now! We specialize in boiler installations in the South Wales area. We offer a friendly and professional service designed around the customer requirements. CF Gas are based in Mountain Ash and offer installations, services and repairs of gas boilers. We value our customers feedback, and are willing to go the extra mile to ensure all customers are satisfied. 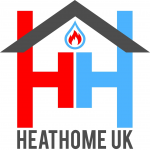 Professional and reliable gas engineer providing heating solutions in your home. A friendly and reliable team who work hard to maintain our reputation as one of New Tredegar's most trustworthy plumbing and heating companies. ADC plumbing and heating are a gas safe registered company who carry out all aspects of gas, plumbing and central heating works across the south wales area.